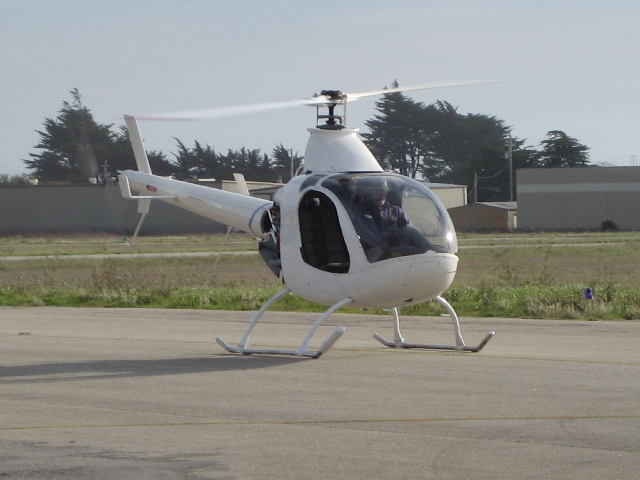 Orv traveled to California to provide initial hover training for Dave and his wife Kris. Above Dave readies for his first solo hover lift off. 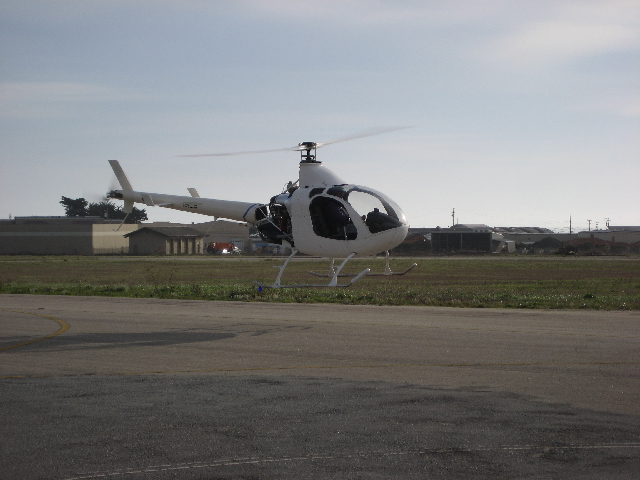 Above Dave gets into the groove in his first solo hover in his Rotorway Exec 162F following his flight training with Orv. 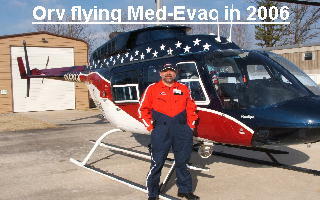 This is the same helicopter that experienced the cyclic control lockup about a week before these photos were taken. Photos of that event are in the Hints and Tips section under Controls.